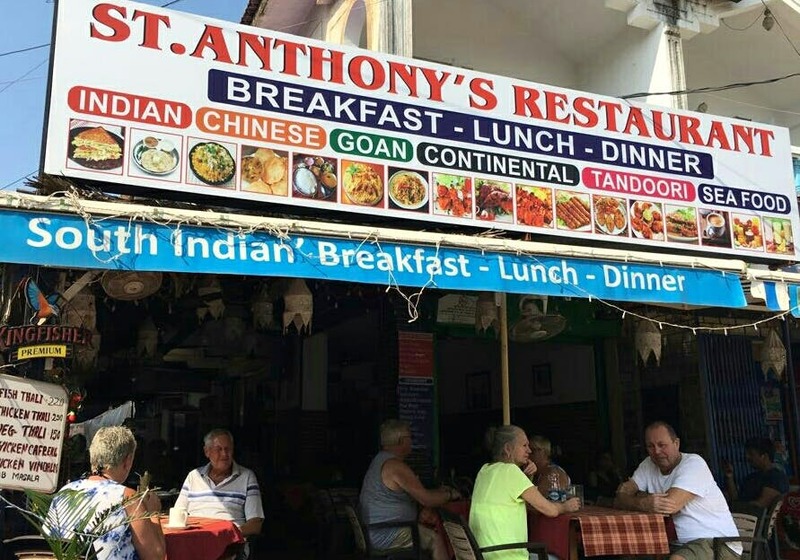 St. Anthony's is an all-time favourite spot for having breakfast right in the heart of Calangute. Plus, they also serve lunch and dinner. Try their various egg preparations - an egg on toast, omelette with toast which is served with bread, sandwiches, milkshakes and a variety of coffee - they're all yummy and in addition to being easy on the pocket. Don't miss out on their cold coffee, it's absolutely divine. It's a no-frills place run by a friendly foreigner and the regulars here will vouch for quality and taste. Service is a bit slow. So you need to relax till your food is served. No parking is available at this spot, so it's best to walk. Also, remember that it opens by 7am and tables do get occupied quite fast. You can't be in a hurry here because if you really want to chill then you need to have some time on your hands.